As a general rule, I repair all my own out-of-warranty electronics. 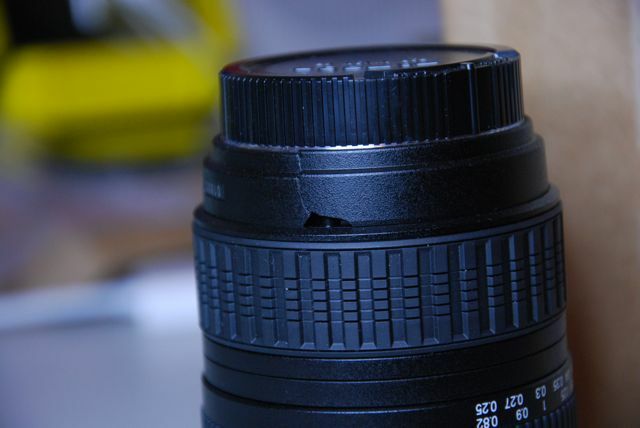 So when I bought, at a significant discount, a lens that had a broken plastic outer cover on it I performed the repair myself. 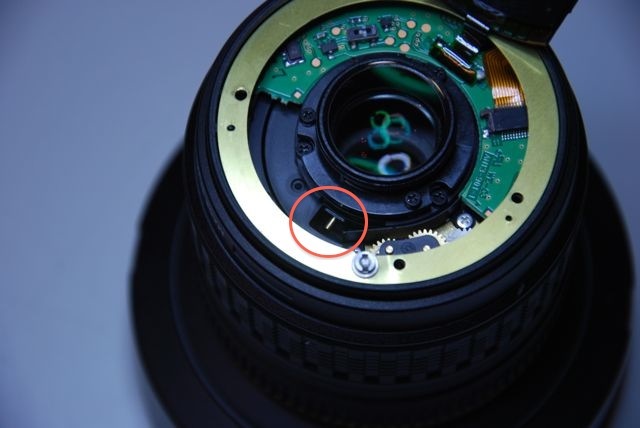 This particular lens was made by Tamron, who happens to sell repair parts to the public. 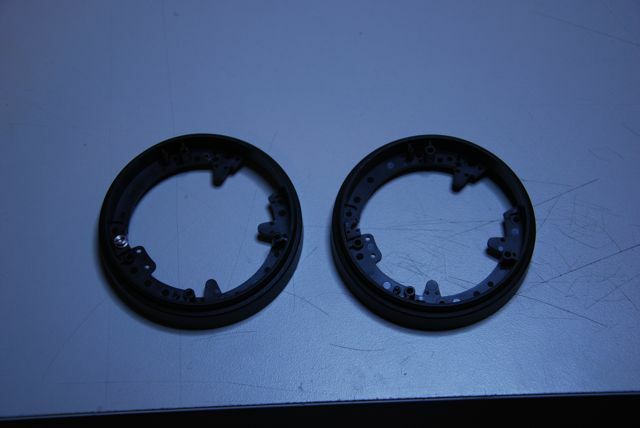 As you can see the rear most plastic ring was cracked. 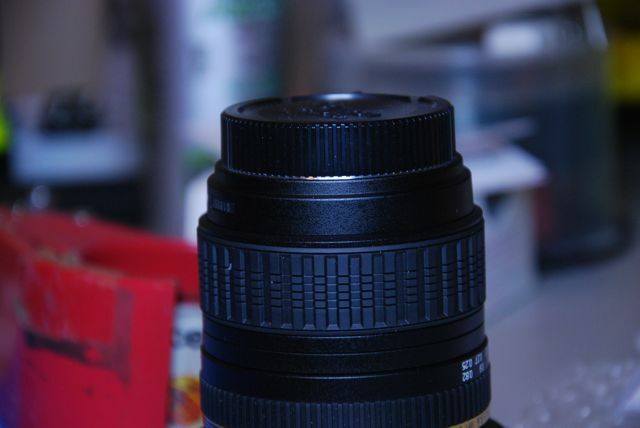 I’m not sure how this happened as I bought the lens as-is from one of those online electronics liquidators. There are 2 method I use to find the part numbers for electronics. The first is to download a service manual. These not only have instructions on how to take the device apart, they also contain diagnostic information and exploded view diagrams with part numbers. Once you have this number just call the parts department of the manufacturer, or buy it online. I did this when I replaced the LCD screen on a D50 I had. You can find service manuals for just about anything online, often for free. The exception is Canon, they are extremely stingy with giving out their service manuals, it’s really hard to find them online. The other way, the one I used here, is to just call the parts department directly and give them a description of the part. This method is more of a hassle, but most of the time the operators are willing to help you find the correct part. Upon calling Tamron and getting the part number I was happy to hear the part would only cost $5. With shipping it was only $11. I also asked them to send the parts diagram to assist in the repair process. 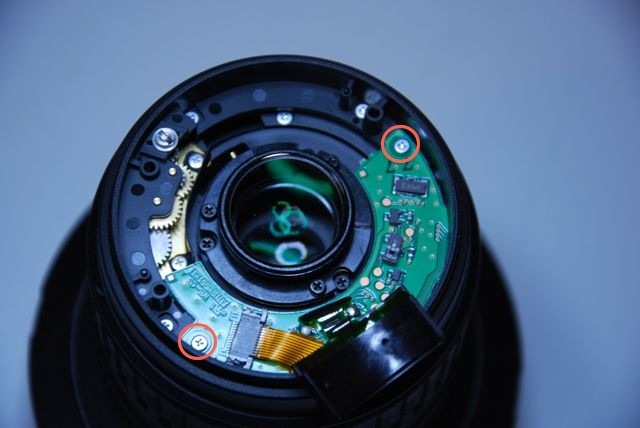 In fact Tamron will fax you a parts diagram for any lens they sell. The last four are purely for documenting your work. When I take apart anything with more than 4 screws, I take pictures after every part removal and tape the screws to a sheet of paper with drawings and notes about their location. Years ago I took apart an iBook for the first time and put it back together. I had about 6 left over screws. I haven’t had left over parts since I started documenting the process. 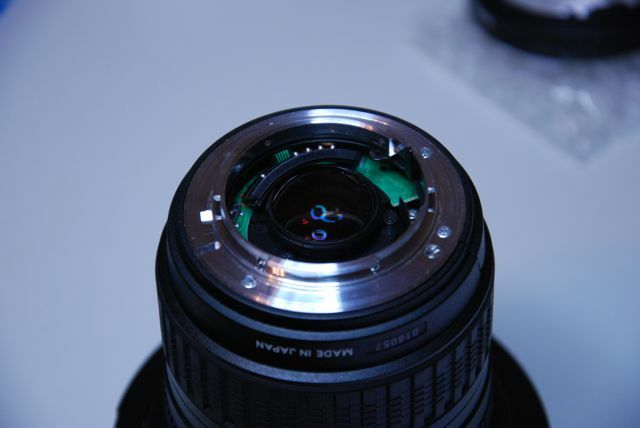 I didn’t have a service manual for this lens, just a exploded view. In this case, you just have to use your own judgment on where to start. The key it to go slowly, and if a part is not coming off easily, chances are you missed a screw or snap somewhere. 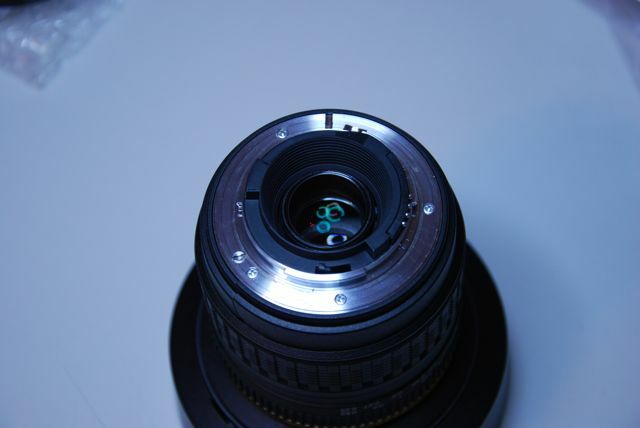 For this lens I started by removing the trim ring between the lens mount and the optics. 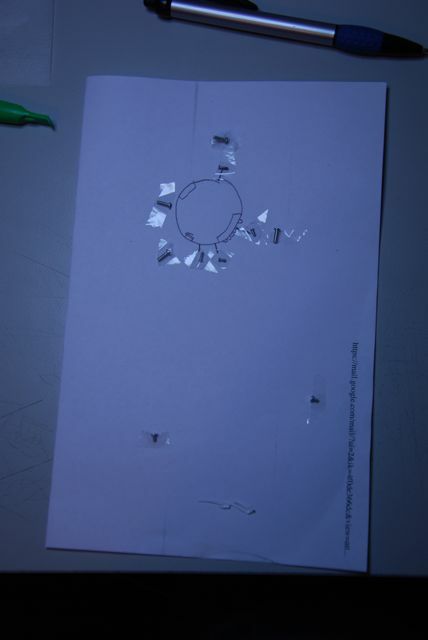 The screws come out radially from the center, and are different lengths. This is where your pen, paper, and tape come in. 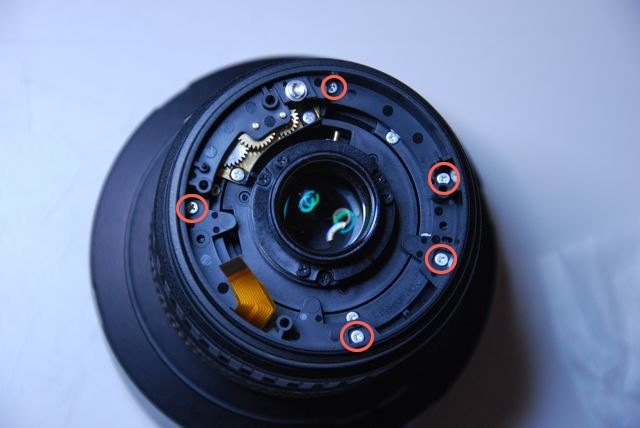 I drew a diagram of the lens mount and taped the screws in their approximate location. The trim ring comes straight out the top. At this point you’ll want to protect that rear most glass element. A slip with your screwdriver at this point will be a disastrous and costly mistake. 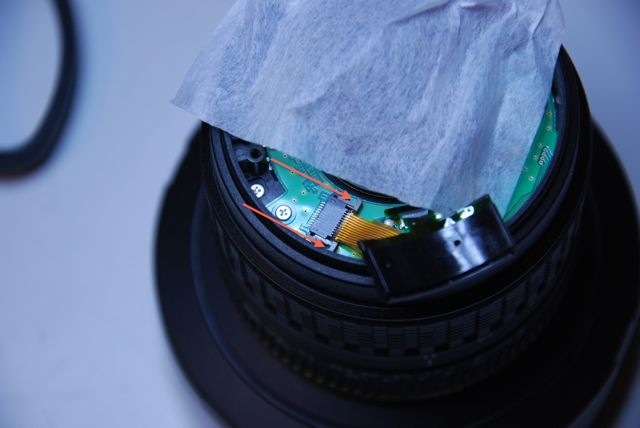 If you gouge the rear element bad enough you can pretty much trash the lens, as it would cost more to replace it than it’s worth. 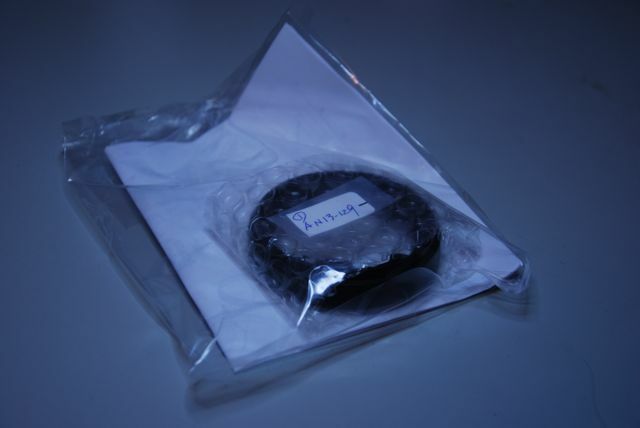 You can use a plastic cap, or do what I did and cover it with a piece of lens tissue. The lens mount comes out next. After you remove the screws, gently wiggle and pull up. 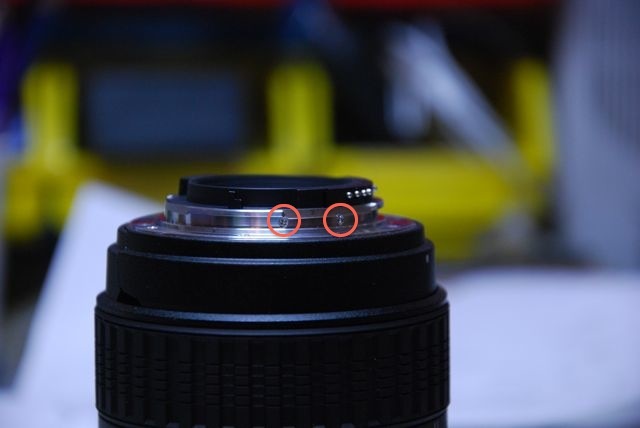 The golden-colored ring is a brass shim they use to align the lens optics at the factory. Remove the shim and the two screws that hold the PCB down. The ribbon cable is removed by pushing the brown tabs on the connector in the direction indicated, and pulling on the cable. The PCB lifts out after a bit of fidgeting. At this point I was faced with many screws and no clear path forward. I looked over the parts diagram and the replacement part, and made a guess. I took out the screws I could get to and thought were holding the ring down. The rear barrel lifts straight off. Now that the barrel is removed, transfer the AF drive gear onto the new ring. Every auto-repair manual I’ve ever seen uses that. It’s such a cop-out, reassembly almost always has quirks and intricacies that are not apparent when you take things apart. So here are some notes from the reassembly. Reinstalling the PCB can be kind of tricky, I found it goes in easiest when you angle it down and fit the end opposite the connector in first. When installing the lens mount you need to be aware of the bracket sticking off the end of it. That slot interfaces with a brass pin that controls the aperture. 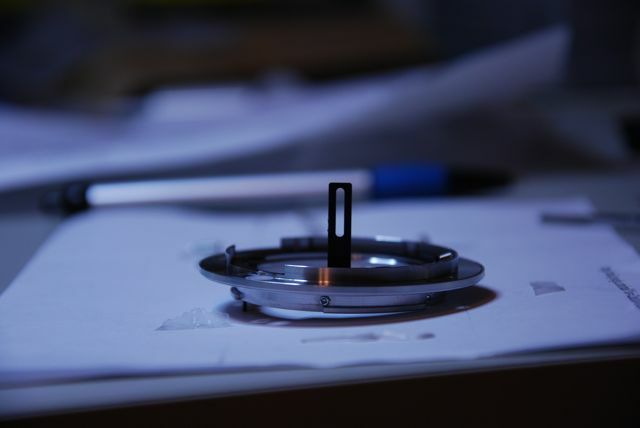 Guide the slot over the pin first, then lower the ring until it is flush with the top of the lens. Installing the trim ring screws ended up being the most difficult part of this job. I could not get the screws that hold the CPU contacts (the metal bumps near end) to the lens mount to go in, after I had put in the trim ring. After a lot of trial and error, mostly error, I found that if I installed the CPU contacts in first, then installed the trim ring I could get everything to align. The last thing I did was transfer the serial number sticker from the broken part to the new one. This is easier if you use a heat gun or hair dryer to soften the adhesive and then lift the sticker off with an exacto knife. 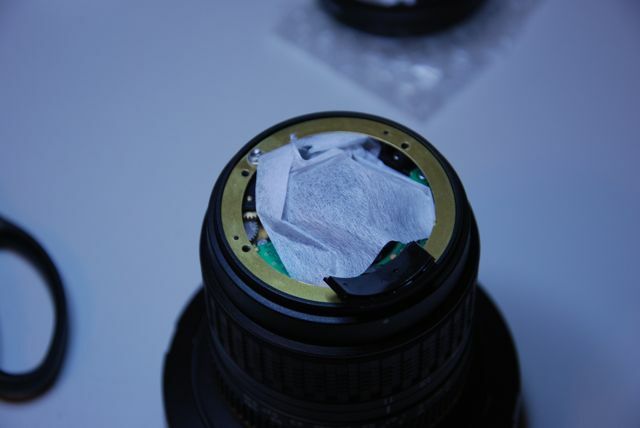 Here we have the finished lens. I probably saved about $80-100 by doing the work myself, and I have further increase my knowledge of SLR lenses. Disclaimer: These instructions are not meant to be all-inclusive, I can’t be held responsible if you destroy your lens by using theses instructions. No warranty or guarantee is provided for these instructions; you follow them at your own risk. 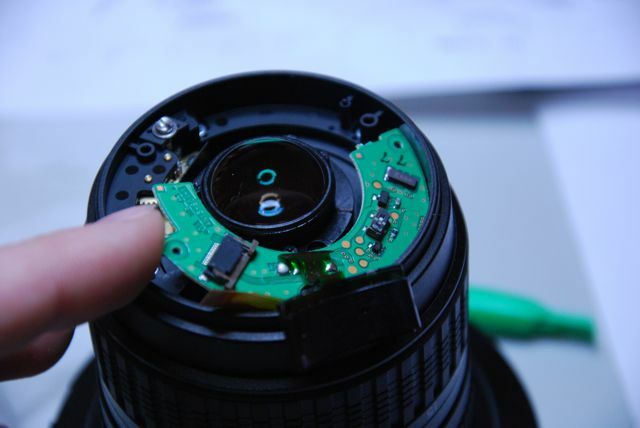 Also this will almost certainly void your warranty, so only do it if your lens is out of warranty. Very nice repair. I think I might have to open up my tamron 28-105 2.8 one weekend. 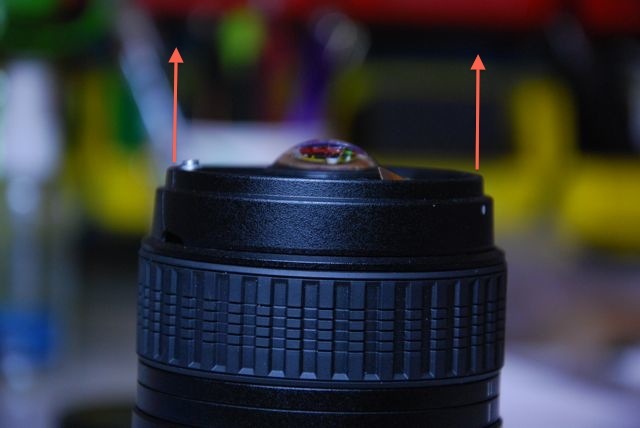 you have the wiggle the zoom ring to send the focal length to the camera correctly. Hopefully it is an easy repair. Try calling up Tamron, the parts department was very helpful. I’m sure they could get you a part number based off your description.